Several other teams of teachers and students competed and featured many surprisingly capable players including Mr. Cron, Mrs. Black, Mr. Moscoso, Mrs. Ryan and Mr. Wells. 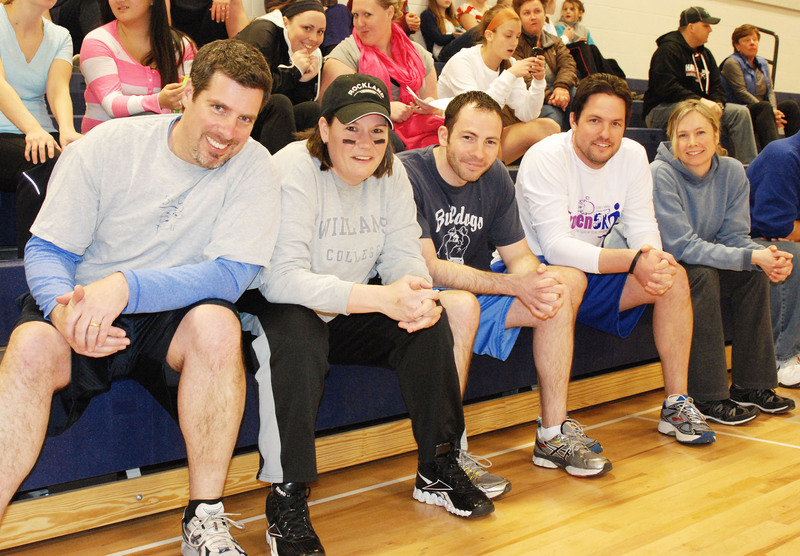 Also playing were Mr. Johnson, Mr. MacAllister, Mrs. Hologitis, Mrs. Phelps, Mrs. McGonnigal and Mrs. Linehan. Another strong student team, The Plague, had Brianna Novio, Nicole Gilcoine, Tim Lorgeree, Shannon Gray, Joe Callahan and Kevin Strobel. Dodgeball is a game in which two opposing teams throw balls at each other in order to eliminate the other team’s players. Players can get opposing players out by hitting the players with balls or catching an opposing players ball before it hits the ground. The entry fee for this year’s tournament was thirty dollars a team or five dollars per person. Each team’s roster had a maximum of six players. The dodgeball tournament was a great time and will be a great tradition to pass down to future generations of Rockland High students.